Willie Walsh is nearing take off, but the Irish government wants to milk the deal for all its worth. The old adage ‘once bitten, twice shy’ does not apply to Willie Walsh. The International Airlines Group chief exec is back for a third bite of the Aer Lingus cherry, after his first two bids for the company were summarily rejected. The sweetened offer is worth €2.55 (£1.90) a share, including a five cents dividend, which values the Irish airline at around €1.35bn. Its board said it was currently ‘considering’ the offer, but is expected to recommend it to shareholders, subject to due diligence. Those shareholders could yet prove a stumbling block, though. Ryanair and the Irish government, the two largest, have to give rather romantic-sounding ‘irrevocable commitments’ to accept the offer. Unless Ryanair, which owns 28.9% of Aer Lingus, pulls a rabbit out of the hat, it looks like its loud-mouthed boss Michael O’Leary may well have given up his long cherished dream of taking over the ageing flag carrier. The budget airline has been ordered to sell its stake by competition regulators, and industry watchers reckon it’s unlikely to win its appeal. The Irish government, on the other hand, is coming under increased political pressure over the deal. 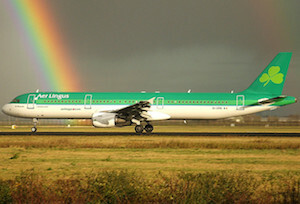 Aer Lingus is the fourth-largest operator at Heathrow after IAG-owned British Airways, Lufthansa and Virgin Atlantic, and is the proud owner of 23 pairs of take-off and landing slots, worth some £30m each. It will probably ask for some sort of reassurance from Walsh that those slots will stay Irish for a period of time. No doubt Walsh, who in a previous life was boss of Aer Lingus, will strike the deal he wants, as he continues to expand IAG in a bid to compete with the deep-pocketed, long haul Middle Eastern airlines. Are these really the best companies to work for in Britain?